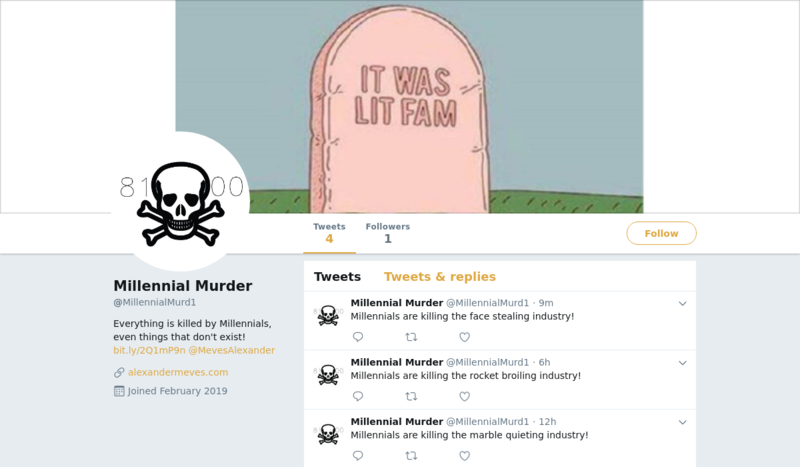 @MillennialMurd1 is a Twitter bot created by Alexander Meves that generates predictions about millennials killing new industries. Millennials are killing the wheel riding industry! Millennials are killing the face stealing industry!